Jamie Wigmore won the women’s 800m at the Nike Indoor Challenge in Edmonton on Saturday, recording a personal best indoor time of 2:20. It was her second win this month on the ACAC circuit after capturing the 1500m two weeks ago in Calgary. Hayden Hollowell also had a strong showing on Saturday, placing second in the men’s 3000m, in a time of 9:14. 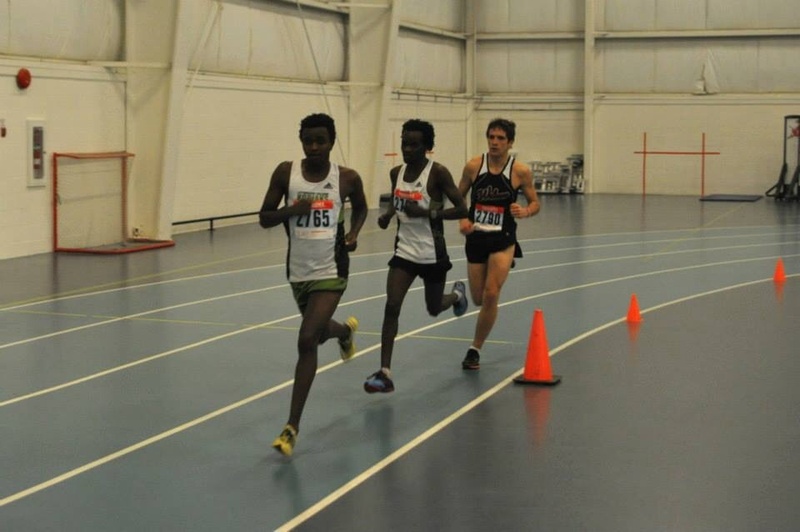 He split the past two ACAC cross country champions, finishing 4 seconds behind 2013 champion Edwin Kaitany, but 17 seconds ahead of 2012 winner Solomon Ngetich. Other Wolves competitors recording top 8 placings included Dylan Zambonelli (6th in the 400m and 800m), Ashley Camsell (4th in the 400m), Calla Scott (5th in the 400m), and Kayla Hardy (6th in the 3000m). The men’s and women’s 4 x 4 relay teams both finished 5th. In the team standings, the Wolves women tied for fourth, while the men also placed 4th. Next up for the Wolves tracksters is the Athletics Alberta Indoor Championships in Edmonton in two weeks.